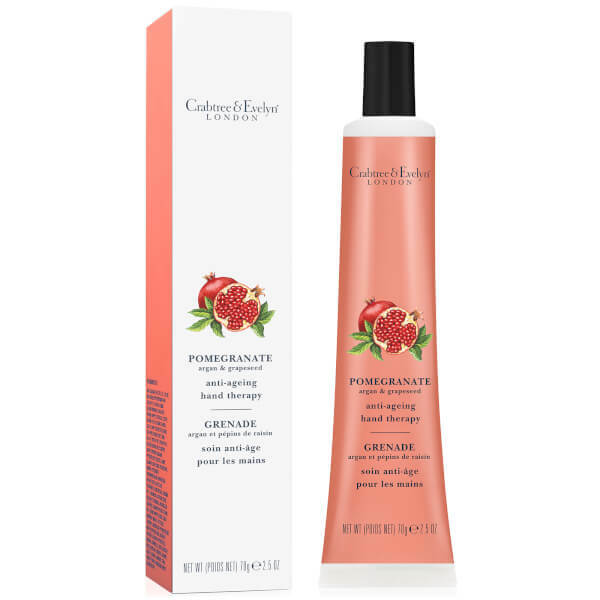 Turn back time with the Crabtree & Evelyn Pomegranate, Argan & Grapeseed Anti-Ageing Hand Therapy, a hand cream enriched with a wealth of nourishing ingredients for visible benefits. The fast-absorbing formula contains Shea Butter, Jojoba and Soy to moisturise, Botanical Extracts to condition and Vitamins C and E to help prevent the damage caused by free radicals. 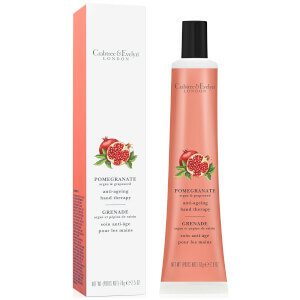 Fragranced with Pomegranate and Ginger Root, the cream reveals a brighter, more even skin tone, reduced fine lines and firmer skin for hands that turn back the clock.